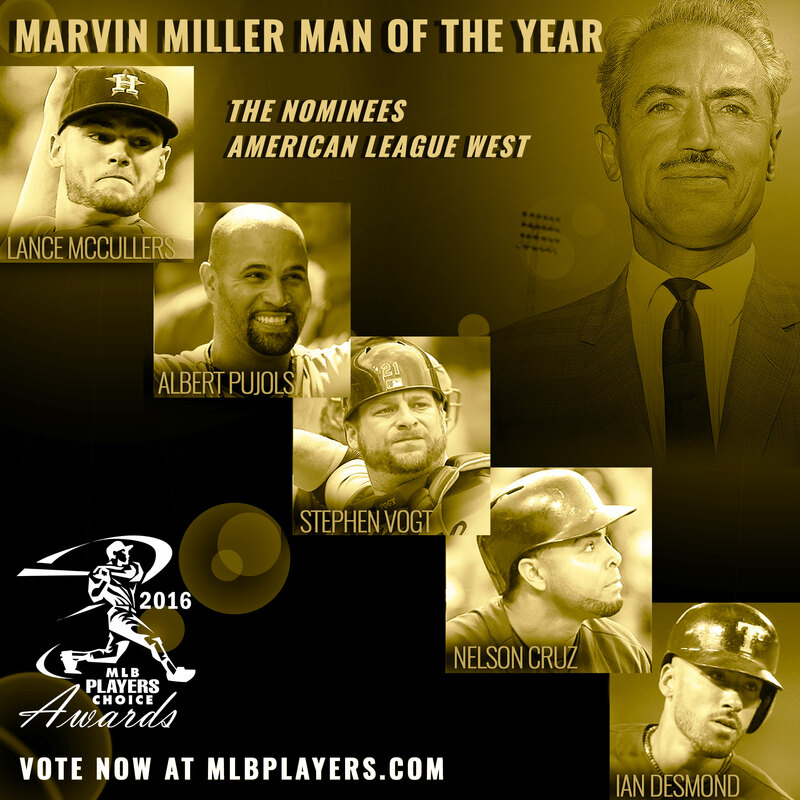 Fans help @MLB_Players Shine a Light on Community Service During #MarvinMiller Man of the Year voting on www.MLBPLAYERS.COM! 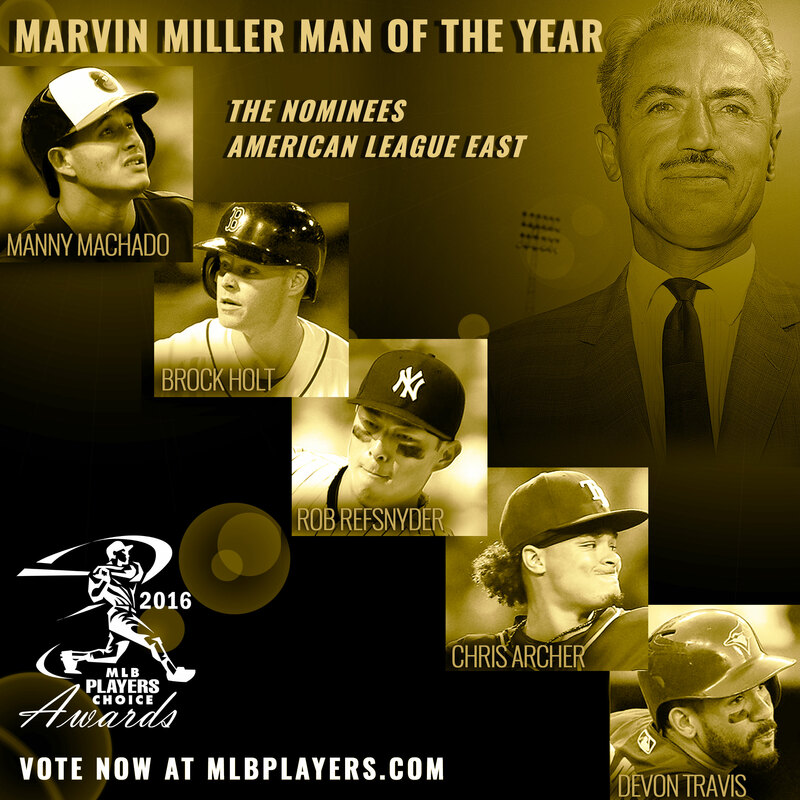 NEW YORK, September 13, 2016 /3BL Media/ – Online balloting at www.MLBPlayers.com opened today so fans can select the six finalists for the 2016 Marvin Miller Man of the Year award, which goes to the player whose on-field performance and contributions to his community most inspire others to higher levels of achievement. The online voting, in which fans choose a finalist in each division, will continue through midnight, September 18. The finalists will appear on the ballot Tuesday, September 20, when all Major Leaguers vote to select the Players Choice Awards in balloting conducted in clubhouses across the country under the supervision of accounting firm KPMG. 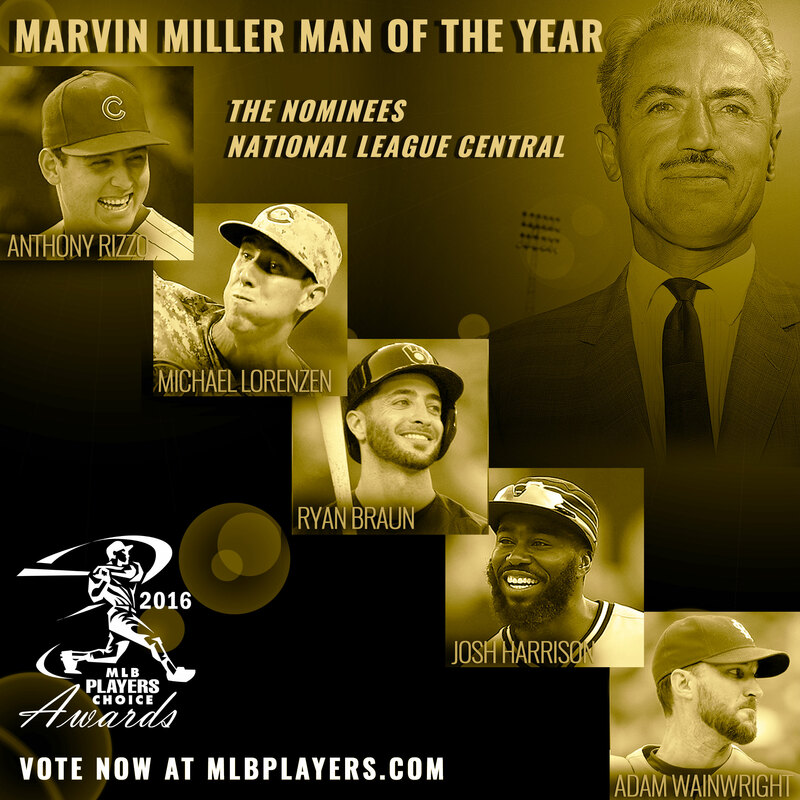 In addition to the Marvin Miller Man of the Year, players will select an overall Player of the Year, as well as the outstanding players, pitchers, rookies and comeback players in their respective leagues. For the second year in a row, the Players will also vote for the Always Game award, which, presented by Majestic, recognizes the Player who – game in and game out – constantly exhibits grit, tenacity, perseverance and hustle; all for the benefit of his teammates and fans. 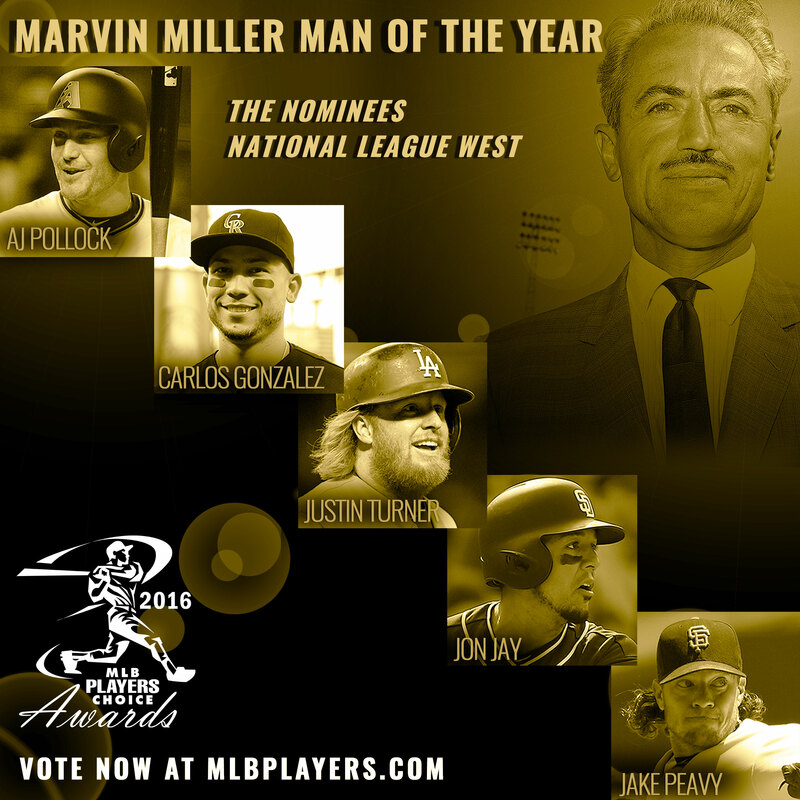 In 2015 balloting, Adam Jones was recognized by his fellow players as the Marvin Miller Man of the Year. 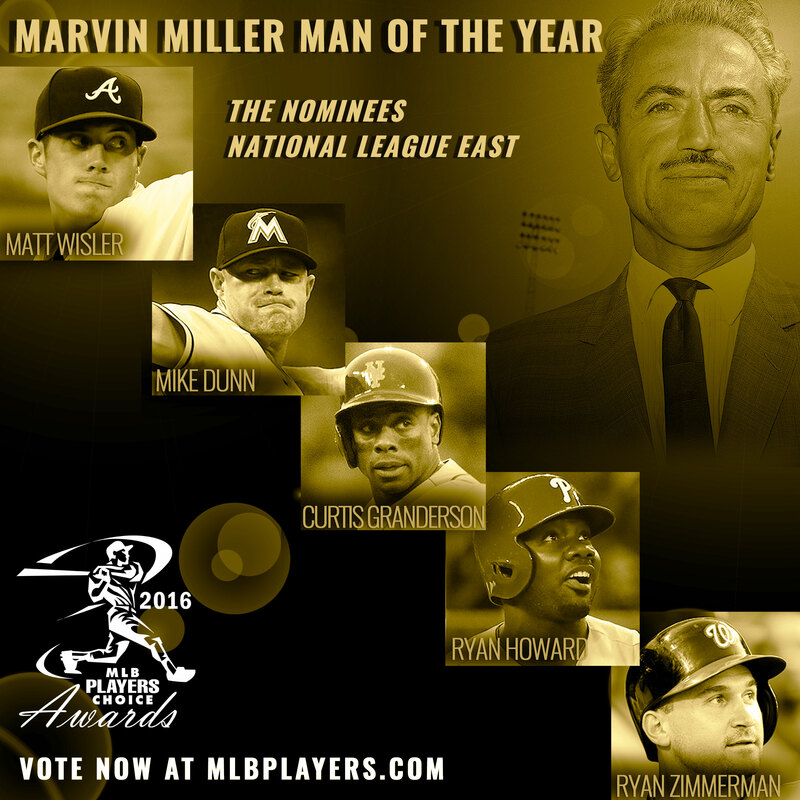 Past Marvin Miller Man of the Year winners, named for the legendary MLBPA union leader, also include Clayton Kershaw, Mariano Rivera, Chipper Jones, Michael Young, Brandon Inge, Curtis Granderson, Torii Hunter, Albert Pujols, Jim Thome, John Smoltz, Mike Sweeney, Mark McGwire, Sammy Sosa, Eric Davis and Paul Molitor. 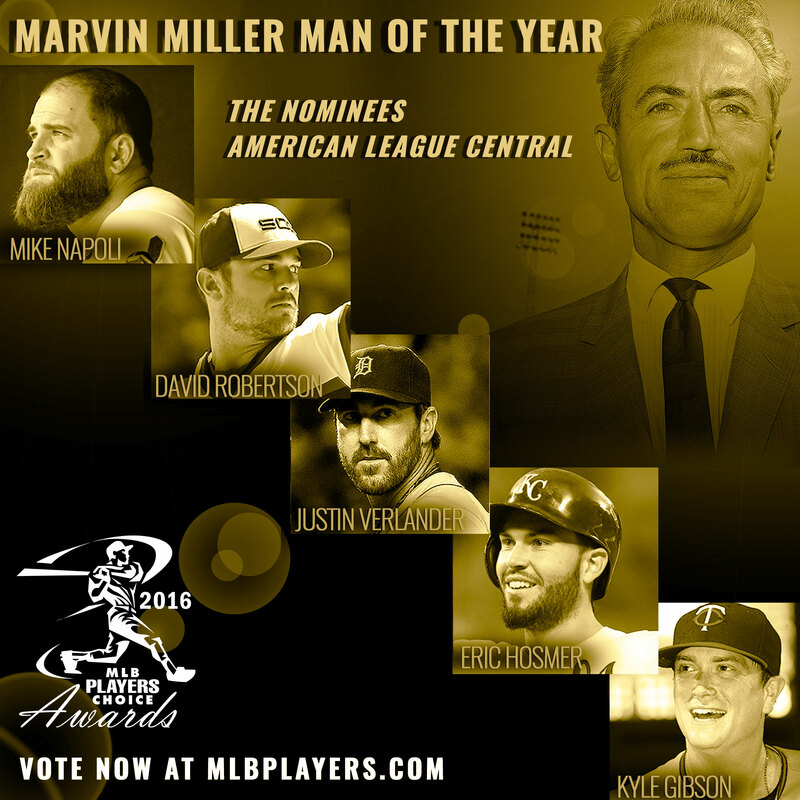 The 2016 Players Choice Awards winners will receive grants totaling $335,000 from the Players Trust to distribute to charities of their choosing, including $2,500 to all 30 Marvin Miller Man of the Year award nominees. Since the first Players Choice Awards presentations in 1992, the Players Trust has contributed more than $4 million to charities around the world personally selected by the award recipients.